Mylène Ratelle is based at the University of Waterloo, Ontario, where she holds a project manager position for northern research. Mylène Ratelle received her PhD in Public Health from the Université de Montréal in 2015. Her specialization is in risk management related to environmental health challenges. She previously completed interdisciplinary programs related to biological sciences and the health-environment interaction, integrating knowledge in nutrition, communication, health sciences, and ecology. 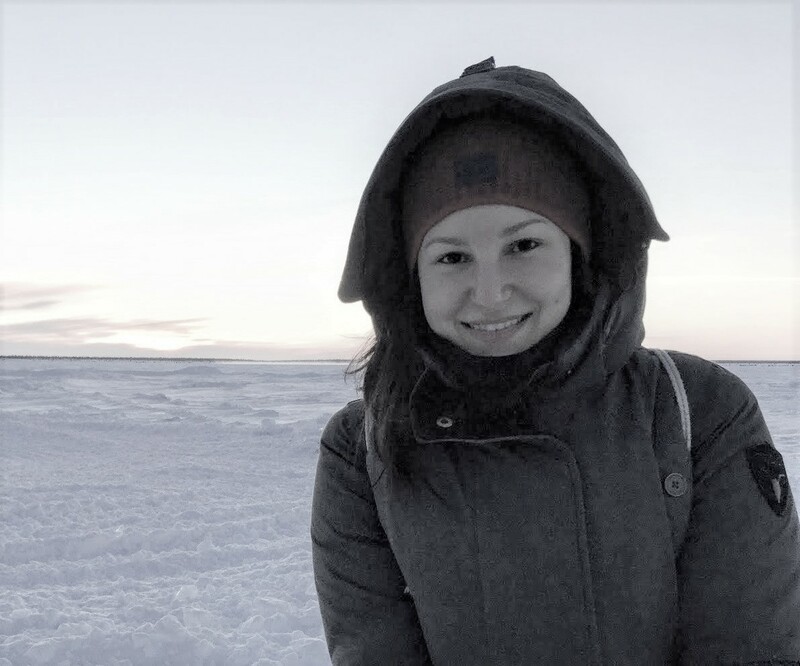 She currently works on projects using biomonitoring in Indigenous communities in Northern Canada (Northwest Territories, Yukon, Northern Ontario) with the aim to examine the relationship between exposure to environmental contaminants, nutritional status and traditional diet. This objectives of the projects are to assess contaminant and nutrients levels, investigate the role of country foods, identify the risk factors of contaminant levels and document how to better communicate results, specifically with Indigenous populations. Mylène has worked in collaboration with the Sahtú Renewable Resources Board since 2016, initially doing her postdoctoral research. Through her projects, she noticed the importance of recognizing the links between physical health, psychological wellbeing, the physical environment we live in and our behaviour towards it. She is eager to collaborate with the SRRB to support local initiatives. Wendy Wright is a Geomatics Professional who graduated from UPEI with a BSc in Biology before completing both an Advanced Diploma in Remote Sensing and an Advanced Diploma in Applied Geomatics Research at the Centre of Geomatics (COGS) in Nova Scotia. Immediately after finishing at COGS, she accepted a position with GNWT-ENR Wildlife Management in Inuvik, where she spent nearly 10 years providing a wide range of analytical and mapping support to ENR staff and outside agencies. She was responsible for the day to day management, mapping and analysis of satellite collar data, as well as providing support for survey planning and post survey data analysis. Other major projects included animating seasonal movements of barrenground caribou from telemetry data and working on a number of traditional knowledge projects. She currently lives in PEI. James Hodson is an Environmental Assessment / Wildlife Biologist with the Wildlife Division of GNWT Environment and Natural Resources in Yellowknife. Before joining the GNWT, James held a similar position with the Canadian Wildlife Service of Environment Canada. His work focuses on the review of industrial project applications, development of guidelines to minimize impacts to wildlife and habitat, and contributing to the development of wildlife monitoring programs to address cumulative effects. James has a PhD in Wildlife Ecology from Laval University, where he studied snowshoe hare habitat selection and changes in hare distribution following timber harvesting and forest fires in northeastern Quebec. James is excited to be working with the SRRB and Sahtú community members on the development of a community-based winter wildlife track monitoring program, and looks forward to learning more about the culture, landscape and wildlife of the Sahtú region. Morag McPherson is a MSc. student at the University of Alberta working in collaboration with Fisheries and Oceans Canada and Parks Canada to study Arctic Grayling in the Little Nahanni River watershed. Arctic Grayling are a widely distributed, but sensitive northern species that play an important role in stream ecosystems, making them a good indicator of general aquatic health. Her MSc. research focuses on juvenile Arctic Grayling ecology in northern mountain streams. This research will improve our understanding of Arctic Grayling ecology, distribution, and habitat requirements, as well as develop standardized monitoring protocols to assess stream salmonids and identify essential habitats in the NWT. Morag is originally from Carberry, Manitoba and holds a BSc. in Natural Resources from Cornell University. 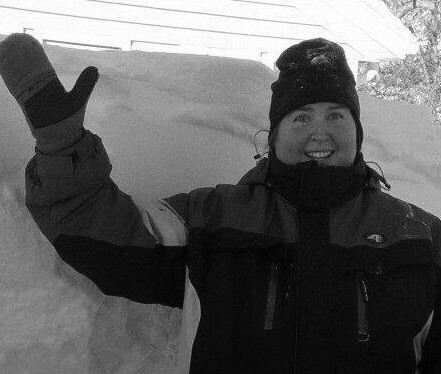 She has lived in Yellowknife since 2006 and is a biologist with Fisheries and Oceans Canada. She has been fortunate enough to work with fisheries resources in the NWT for the past seven years and looks forward to undertaking fisheries research in the Sahtu and finding out what the streams can teach her. For more information about the Little Nahanni River Watershed Arctic Grayling Project, visit www.lnrgrayling.weebly.com. Dr. Yamin is an expert in aquatic ecology. He has got more than 20 years of experience in fisheries and freshwater ecology research and management. He was born in Pakistan and got his PhD degree in ecology from France. At present he is working as Visiting Fellow with Fisheries and Oceans Canada at Winnipeg. Along with Mackenzie freshwater ecosystems in NWT, he is also working on trophic ecology of marine ecosystems in Nunavut. He is one of the co-authors of DFO Technical Report on Climate Change Assessment in the Arctic Basin.